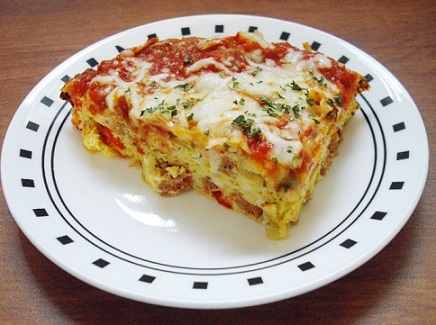 A Frittata, such as this Italian Frittata Recipe, is an Italian form of an omelet. They are usually full of vegetables and cheese and/or meats. Besides being delicious, they are a great way to use leftovers! Let's "talk" about garlic for a minute. First, I love it! Second, not too much to over-power everything else. Third... the easiest way to peel fresh garlic is to crush a clove with the flat side of your favorite large (wide) knife or use a garlic press. Once crushed, the peel is easily removed. And, since it is flattened, you can easily dice or mince the garlic. 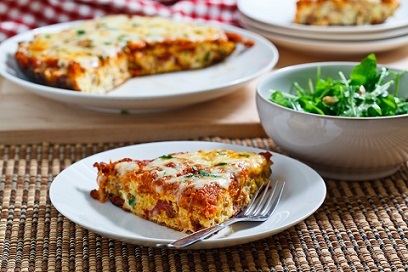 Enjoy your Italian Frittata Recipe and the company of those you share it with! 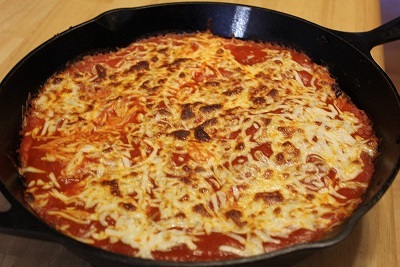 It is a real restaurant recipe and a favorite frittata breakfast recipe. Did you know? The word frittata is Italian and roughly translates to "fried."